The drying devices studied and reported in various parts of China include microwave drying mechanical equipment, greenhouse type, collector type, combination type of collector and greenhouse, solar drying oven, solar drying room and other forms. At present, there are greenhouse type, collector type, microwave fruit and vegetable dryer, solar greenhouse + high efficiency collector + automatic humidity difference ventilation dehumidification workshop, hot blast stove mixed drying equipment and solar energy with high temperature heat pump automatic drying room. Compared with traditional sunlight drying, these facilities can obviously improve product quality and shorten drying time. Compared with conventional hot air drying, they can save a lot of energy and improve product quality. With the development of research on heat storage materials for solar drying facilities and the combination of solar energy, heat pump and conventional hot air drying, the application scope of this clean and energy-saving drying facility has gradually expanded. The microwave fruit and vegetable dryer developed by the Institute of Planning and Design of the Ministry of Agriculture has successfully carried out a grape drying experiment in Xinjiang. The results show that the drying time is 66.7% shorter than the traditional drying method, and the green grade rate is increased from 35% to 79%. Gansu Academy of Agricultural Sciences has launched a fruit and vegetable dehydration workshop of "solar greenhouse + high-efficiency collector + humidity difference automatic ventilation and dehumidification" through integrated innovation research and development. Water is used as heat storage and heat transfer circulating medium, which overcomes the shortcoming of instantaneous heat release from hot air in flat air collector and uses resistance heating. The problem of increasing energy consumption can be solved by using wet difference ventilation and dehumidification system to make full use of the dry air resources in Western China and to solve the auxiliary heating problems in winter and night, so that the clean ecological dehydration and drying technology of agricultural products can be successfully applied to microwave stripping of apple slices, fans, onions, carrots and other special agricultural products. The water is dry. At the same time, some research institutes and enterprises have carried out automatic drying room with microwave and high temperature heat pump, which has also achieved good dehydration and drying effect. As energy saving and emission reduction, low carbon consumption and carbon trading have gradually been recognized by people, the vigorous development of new energy industries such as wind energy, solar energy, biomass energy, especially wind power, photovoltaic power generation, polycrystalline silicon industry has appeared the trend of repetitive construction and excess industry, dewatering fruits and vegetables using clean energy such as solar energy. Facing new development opportunities, but due to the seasonal production of agricultural products and the weak level of intensive processing technology, there are still many problems in the development of solar dehydration and drying facilities for fruits and vegetables, such as excessive dependence on Meteorological conditions, poor controllability and lagging heat storage performance. (1) The characteristics of the microwave dewatering and drying facility for fruits and vegetables are that although the solar dewatering and drying facility for fruits and vegetables has the advantages of high energy-saving efficiency and low nutrient loss, its drying efficiency is lower than that of the traditional energy drying facility. It relies too much on meteorological conditions and has poor controllability. Solar energy is combined with industrial boilers, hot air drying and microwave drying. The energy saving combined drying technology remains to be further studied. 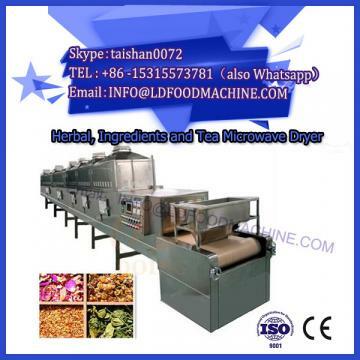 (2) In microwave dehydration and drying facilities, there is a lack of good heat storage materials and technology. Most of the heat collection systems of microwave drying facilities reported in domestic research use air collectors. The photothermal energy absorbed by endothermic coatings directly heats the air. 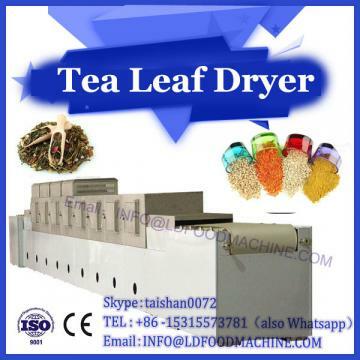 Hot air evenly enters the drying chamber through blowers, air leveling plates and other components to dehydrate the materials, but the air collector is not suitable for the drying of microwave drying facilities. The heat loss with the timing of the exhaust process, the instantaneous release of heat, the material can not be dehydrated at night without sunlight, lack of good heat storage materials and technology, can only be dehydrated at night and rainy days with the help of auxiliary heat sources, and the collector covers a large area, the application of equipment in production practice is greatly limited. (3) the existing technology of fruit and vegetable solar energy has been demonstrated in actual production. At present, wind power generation, solar photovoltaic power generation, solar roof plan, biomass energy power generation and other new energy industries mainly rely on government subsidies to develop, the state support is strong, some projects can also get preferential carbon trading in developed countries. However, when solar energy and other clean energy are used in the field of dehydration and drying of agricultural products such as fruits and vegetables, it is very difficult for enterprises to get government subsidies and other preferential policies. It is difficult to demonstrate and popularize the existing technologies in actual production. With the deep research of solar energy dehydration and drying characteristics and quality change rules of different fruit and vegetable products by relevant scientific research units and production enterprises, as well as the improvement of heat absorbing coating of solar energy collector system and the development and application of solar energy automatic tracking control system, as well as the screening of heat storage materials for solar energy drying facilities, solar energy Drying facilities have become more and more mature, and the future development trend is the technological innovation of heat storage materials, the application of solar automatic tracking system, the automatic control of facilities, the efficient utilization of heat collection performance, and the combination of energy-saving drying methods with other drying methods. In recent years, the national industry authorities have gradually increased their support for new energy utilization, energy saving and emission reduction technology innovation. 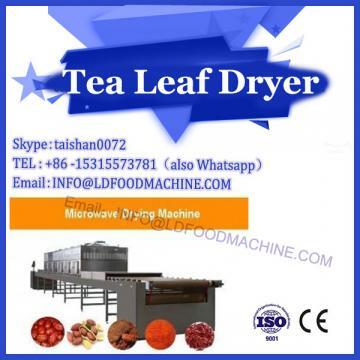 The application of new energy saving and emission reduction technologies in dehydration and drying industries of agricultural products, such as fruits and vegetables, will certainly usher in new development opportunities.